Biodegradable substances are those that degrades or break down naturally. Non-biodegradable substances are those that do not degrade easily. These terms itself defines the ability of the substances which are degradable or not. Materials like plants, animals, their waste, paper, fruits, flowers, vegetables fall under biodegradable substances, on the other hand, rubber, plastic, chemicals, paint plastic falls under the category of the non-biodegradable items. The environment in which we live is surrounded by these two things only, even the materials we use in day to day life can be biodegradable or non-biodegradable. It is usually seen that non-biodegradable substances are synthesized and does not occur naturally, hence their degradation is also not possible, but the biodegradable substances get easily decompose in nature through agents like water, soil, sunlight, microorganisms, etc. and directly or indirectly are profitable to the environment. In the given content we will be focussing on the fundamental differences between the biodegradable and non-biodegradable substances with the brief description of them. Meaning The wastes that decompose naturally in the environment and are considered safe for the environment are called as biodegradable substances. Such wastes which do not decompose naturally in the environment causes pollution and are also harmful to the living being are called the non-biodegradable substances. Examples Dead plants and animals, their waste, fruits, vegetables, flowers, paper, etc. Chemicals, paints, plastic, rubber, toxic, plastic, metals, etc. The rate of decomposition Slow. Fast. Decomposed by Bacteria, fungi, and other living organisms have the capability of decomposing the material into the soil. These substances do not degrade easily or by the action of natural agents. Use After degradation, they can be used to produce biogas, manure, fertilisers, compost. As their degradation rate is slow and the separation and recycling are not easy and expensive too. Biodegradable substances are not harmful to the environment. They are harmful to the environment. The degradation or decomposition refers to the substances that get decay with the help of natural agent such as microorganisms, air, water, soil, sunlight, ozone, etc. into the organic manure. Further, these organic matters are profitable to the environment in some, or the other way is known as biodegradable substances. These materials are non-toxic to the environment and mainly include the natural substances only. Plants and animals waste, even the dead plants and animals, fruits, paper, vegetables, etc. get convert into the simpler units, which further get into the soil and are used as manures, biogas, fertilizers, compost, etc. They are non-toxic, non-pollutants, eco-friendly to the environment. Nowadays, an emphasis is given to using biodegradable and eco-friendly items as much as possible to reduce the level of pollution and substance responsible for it. This will also contribute to reducing the pollution up to some level, which is becoming one of the major problems worldwide and is hazardous to every living being. But as these are readily available, convenient to use, and are of low cost, the non-biodegradable substances are more often used. 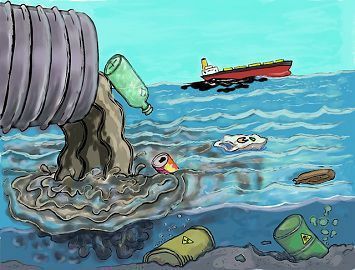 But instead of returning to the environment, they become solid waste which cannot be broken down and become hazardous to the health and the environment. Hence are regarded as toxic, pollution causing and are not considered as eco-friendly. Many measures are taken these days, concerning the use of non-biodegradable materials. 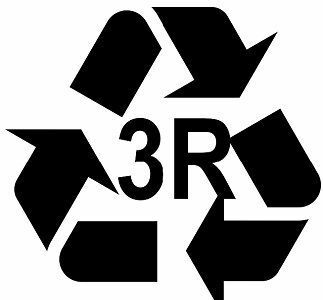 The three ‘R’ concept which says Reduce-Recycle -Reuse is in trend, which explains the use of the non-biodegradable materials. As we already discuss that these substances do not decompose or dissolve easily so can be recycled and reuse. 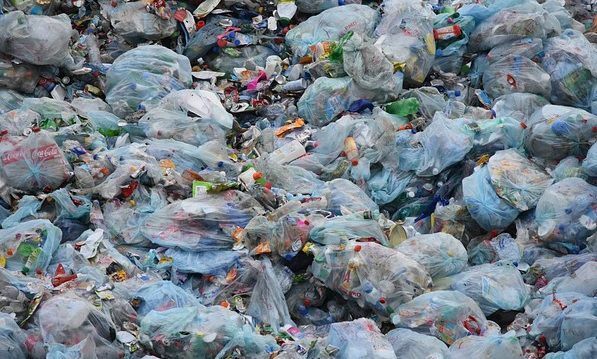 And one can help in reducing this waste by instead of throwing the plastics and poly bags in the garbage; it can be put in the recycling bags to use again. Biodegradable substances are those which decompose naturally in the environment naturally and are considered beneficial for the environment. The natural agents involved in the degradation are air, water, microorganisms, sunlight, soil, etc. Non-biodegradable substances are those wastes which do not decompose naturally in the environment, causes pollution and are also harmful to the living being. Examples of biodegradable substances are dead plants and animals, their waste, fruits, vegetables, flower, paper, etc., while non-biodegradable substances include chemicals, paints, plastic, rubber, toxic, plastic, metals, etc. The rate of decomposition of biodegradable substances is slow, which completes within few days or months, whereas the non-biodegradable items either do not decompose and maintain their originality or their decomposition is so slow that it may take thousands of years. 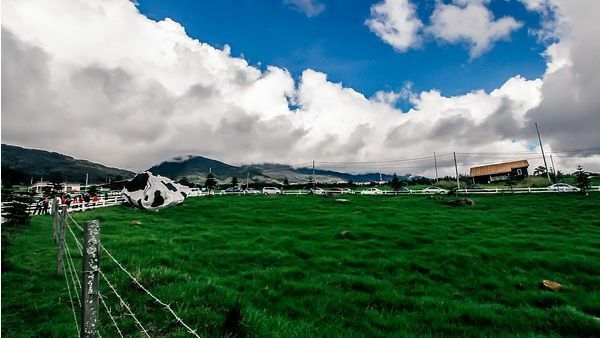 Biodegradable substances after degradation can be used to produce biogas, manure, fertilizers, compost and thus they are profitable to the environment even after degradation. But in non-biodegradable substances the degradation rate is slow, and the separation and recycling are not easy, even expensive too and is not beneficial to the environment. The two terms ‘biodegradable and non-biodegradable’ are most often used when discussing the environment as they are linked with it. So the use non-biodegradable substances which are contributing majorly in the rising of pollution should be reduced up to the remarkable level. This will be helpful in declining the hazardous substances from the environment, thus making it suitable to live in pollution free environment for all the living beings. While the use of biodegradable substances should be increased, concerning with the environmental issues. A helping answer. Thank u for this answer.